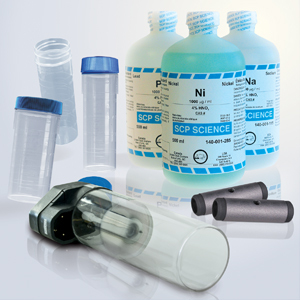 As part of a comprehensive line of AA supplies, SCP SCIENCE offers high performance Hollow Cathode Lamps in both the 1.5’’ and 2.0’’ diameter formats. High density, pyrolytically coated, Graphite Furnace Tubes, a complete range of Matrix Modifiers, AA Reference standards, and our hollow Cathode Lamps, are extensively stocked for prompt service. Inquire about our popular special offer of a free AA Standard with the purchase of each package of Graphite Tubes or hollow cathode lamp.